The Tony Hillerman Prize competition is open to any professional or non-professional writer who has never been the author of a published mystery. Murder or another serious crime or crimes must be at the heart of the story, with the emphasis on the solution rather than the details of the crime. Stories must take place in the Southwest. Deadline: All entries must be received or postmarked no later than June 1. Prizes: The prize winner is awarded a contract with St. Martin’s Press for publication of the novel and $10,000. The 8th Annual Write a DearReader Contest is now accepting submissions of previously unpublished short works on nearly any personal subject. The deadline is August 12, 2012. Maximum word count is 650 words. Multiple entries per person are acceptable. Prizes are: Grand Prize – $300; Runner Up – $200; Third Place – $100. In addition to a cash prize, the winning columns will be published in the daily book clubs at DearReader.com, Read-It-First.com and at BookTrib.com. The New Guard is now accepting entries for its Machigonne Fiction Contest. $1,000 for an exceptional work of literary and/or experimental fiction. Submit up to 7,500 words: anything from flash to the long story. Novel excerpts are welcome if the manuscript functions as a stand-alone story. We do not publish illustrations. Judged by Novelist and Essayist Rick Bass. The deadline is July 18, 2012 (midnight/postmark). Entries are $15. International submissions are welcomed. 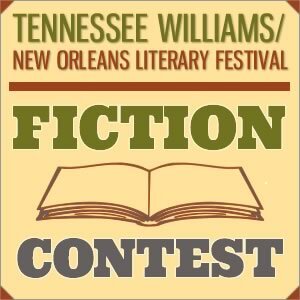 The Tennessee Williams 5th Annual Fiction Contest is open only to writers who have not yet published a book of fiction. Submit an original short story, written in English, up to 7,000 words. The deadline for online and mailed submissions is November 15th (postmark). The entry fee is $25 per entry. Unlimited entries per person are acceptable. The Grand Prize includes $1,500, Domestic airfare (up to $500) and French Quarter accommodations to attend the next New Orleans Literary Festival, VIP All-Access Festival pass for the next Festival ($500 value), public reading at a literary panel at the next Festival, and publication in Louisiana Literature.